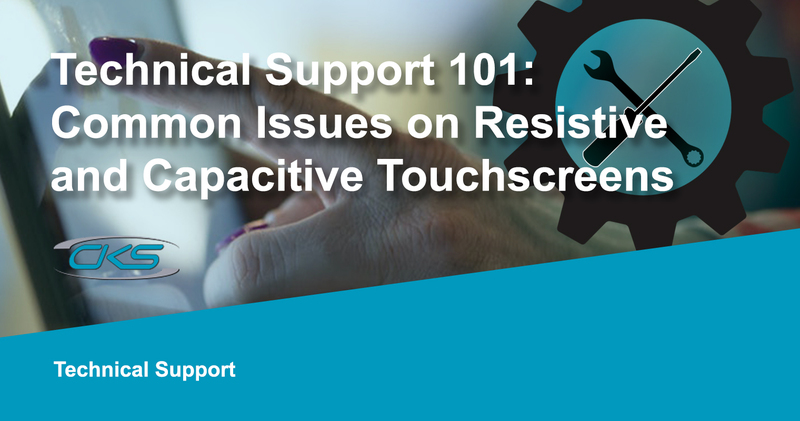 Ever since it was first developed, touchscreen technology has enabled many industries to optimise their production processes. Aside from its accurate touch response time, it was also designed to withstand a wide temperature range in varying work conditions. 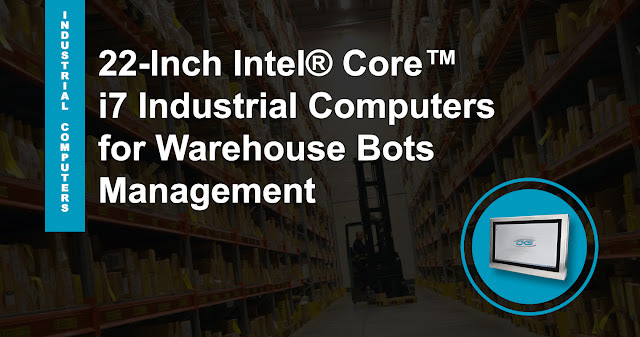 Warehouse shipment operations improve its efficacy through the use of warehouse bots.Modern warehouse operations require a computing device that can manage and control warehouse robots.Industrial computers with Intel Core i7 processors offer efficient processes in warehouse operation, ensuring products are fetched and distributed precisely. Warehouse shipment robots are now being used to move heavy payloads efficiently. Operators can rely on these machines to streamline the distribution process. These robots are controlled by a dedicated software installed on the primary computer on site. Computing devices, like the S22 industrial computer, can operate such kind of advanced applications. This rugged Panel PC is built with an Intel® Core i7-3610QM processor, which features a maximum memory bandwidth of 25.6 GB/s. It efficiently allows analysing the heavy program algorithm to read and verify the item’s data quickly. At the same, it consequently reduces the overall processing time as well. 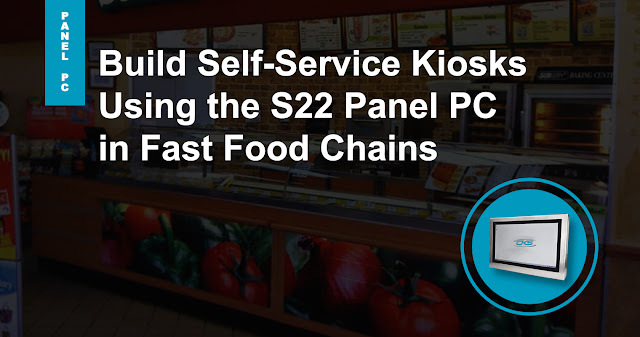 The popularity of self-service kiosks usage in the fast-food industry entails quick-service restaurants to have a reliable computing system embedded in these kiosks.Installing a 22-inch industrial PC in self-service kiosks streamlines fast-food operations.The S22 panel PC's robust components can last in 24/7/365 self-service kiosk operations. Self-service kiosks are becoming popular amongst fast-food restaurants. Customers who experienced ordering through these kiosks can attest to its efficiency. Moreover, restaurant owners have increased revenue by 10% to 30% while providing excellent customer experience [Bepoz]. Now, these kiosks are built with the most compatible computing technology, ensuring that kiosk applications are installed. Fortunately, our S22 industrial panel displays can have the capability to meet what the kiosks need. 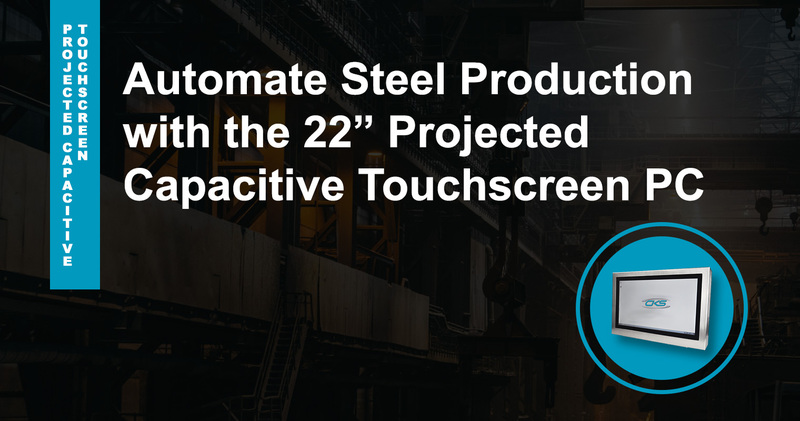 Modern steel production is an industry which requires efficient manufacturing techniques to meet global demands.Automating the metal production process requires a reliable industrial-grade computer to maintain precision and accuracy.This 22” panel PC has the key specifications required to ensure quality and productivity at the same time.